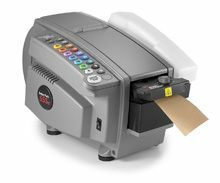 Use our tape dispensers, tape guns or gummed paper dispenser to simplify packing and sealing your parcels, whether at home, in the office or in the warehouse. 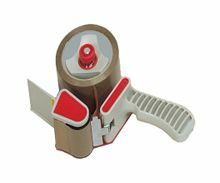 The desktop and hand tape dispensers conveniently apply a wide range of self-adhesive tapes with one-handed operation, making your job easier and producing a better result. Our automatic electric dispenser for gummed paper tape is perfect for industrial sealing of cardboard boxes, using up to 70mm width plain or reinforced tape. Our desktop dispensers, for 25mm or 50mm width tape, are ideal as office dispensers while our pistol grip guns suit 50mm or 75mm heavy duty packing tapes. Both types are reliable and durable, made to withstand knocks such as being dropped on the floor. No more messily cutting adhesive tapes using knives, scissors or even your own teeth! Our desktop dispensers and pistol grip tape guns are designed to be practical and tough, and will speed up your packing with a smooth application of tape. They’re great when you’re moving house, packaging belongings for storage, or shipping products that need thorough sealing. Our economical desk top tape dispensers have a base that’s heavily weighted to avoid slipping, thus allowing for one-hand pull-and-cut dispensing. In two sizes and easy to reload, their serrated metal blade gives a nice clean cut. With its integral brake, our tape gun on the other hand enables operators to put on additional tension for tighter, more secure wrapping or reinforcing. This kind of packing tape dispenser is most suitable for self-adhesive tapes that are quick to release, such as polypropylene. Like our other tape dispensers, our handheld tape gun is also easy to load and robust. 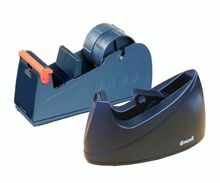 Using our programmable gummed paper tape dispenser is the efficient and time-saving way to produce cost-effective, secure tamper-evident seals on cardboard boxes. 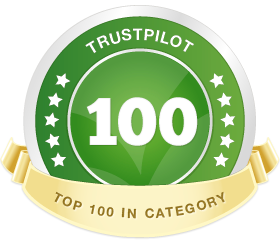 It is ideal for courier and export shipping purposes. All of our tape dispensers are another of our quality ranges that we have tried and tested.